On Thursday, September 13th, Linden Lab hosted a further Town Hall meeting at which questions were put to the Lab’s CEO, Ebbe Altberg. Those wishing to ask questions were asked to submit them via the forum thread September 2018 – A Conversation with Linden Lab CEO Ebbe Altberg, a thread that is now locked from having further questions added, but remains available for viewing. As many of the questions require a technical response, the decision was made to have the Lab’s subject matter experts address them directly through the forum thread itself after the Town Hall meeting, a process which may take several days to complete. So if you did ask a technical question that wasn’t raised at during the event, be sure to check the thread to see if an answer in provided there. The following is a summary of the answers to questions asked during the Town Hall session, audio extracts and video time stamps provided as reference. The video is embedded at the end of the article. Please note that this is not a full transcript of the event. Producing a word-for-word transcript takes a lot of time. Instead, I have attempted to bullet-point the replies offered, and have included an audio extract and a time line to the relevant point in the video. Are further pricing changes planned? Will this allow on-demand connectivity between regions? Any further information on new Premium levels? Could enhanced support access be a Premium option? What is the status of the return of last names? What is the status of Bakes on Mesh? What is the status of the new Linden Homes? Are changes planned for Experience Keys ownership? Could caps be added to help those on low-end systems deal with mesh loads? Why does the Lab focus on backwards compatibility? What are the plans for the Mac viewer, vis: Apple’s OpenGL deprecation? Will there be a new Linux viewer? Can LL provide a Flickr-like space for bloggers, etc? Can gachas and tagging be better managed? What are the overall plans for the Marketplace? Will economic metrics be made available again? Can direct access be provided to business staff? Will LSL be made easier to use / replaced? Will 24-hour support be re-introduced? 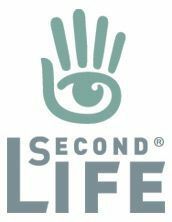 Do you use Second Life? Will there be a way to hide the default mesh avatar without alpha masks? Will attachment points be increased? Will more shape sliders be possible? These notes don’t necessarily follow the chronological flow of the session, as I’ve attempted to group subjects by topic for more concise reference. There is a degree of choppiness in Ebbe’s audio (present on the videos as well). This is down to Voice issues in SL. Because of this break-up, some of the audio clips are edited to remove elements where the break-up is particularly bad, but hopefully without losing the actual context of what was being said. Video timestamps will open the official video in a separate browser tab at the start of the specified time period, allowing readers the choice of listening to the audio extract, or the video recording. Due to the brevity of some answers, not all replies given below have an audio extract – but they all have links to the official video. Exciting year for Linden Lab – 15 years in the business, lot of investment in SL going on + growing the SL team. There’s a lot going on that has the Lab optimistic about the future, and looking forward to being on the journey for a long, long time to come. In March LL announced a very aggressive roadmap, possibly more than could be achieved within 2018, but goals have been pursued and people hired to help meet them. Perhaps most noticeable work has been the re-balancing the economy: reducing the price of land and finding other means by which the Lab can generate revenue that are fairer for everyone – users and the Lab. This means some things get cheaper [e.g. land], and other may get more expensive [e.g. transaction fees] for people as things are adjusted. Overall response has been positive – particularly the lower Mainland costs – increased “free” tier, which is still keeping the land team busy in handling purchase requests. Roadmap also noted new games and experiences, and the next one is “not far away”. Themed learning islands were mentioned, for more vertical acquisition of new users, and tests have been run. Marketplace improvements are starting to come in, with more on the way, helped by a new hired in the commerce team. New land auction process was deployed, but has had issues, so user-to-user Mainland land auctions still to come. There have also been performance improvements. Animesh is very close to release, and the Environment Enhancement Project (EEP) is close to public testing. Bakes on Mesh is following behind them. More value for premium members is coming, but no announcements to make during the town hall. Return of last names may not roll-out before the end of 2018; there’s still a lot of work to be done. Grid-wide experience operation for users also may not be deployed before the end of 2018. Work is continuing on Linden Home improvements, but not clear if this will be deployed all at once or in stages. The hope is to start releasing some of them before the end of 2018. Moving SL to a cloud infrastructure will not be completed until “well into” 2019. Work is progressing on a server-by-service basis. He is personally every excited with all that is happening, the SL team is dedicated to the work and is growing, and Lab is very pleased with the positive responses from users to the changes and improvements being made. Ebbe and Xiola at the September 13th Town Hall. What was the rationale the up-front higher fees for grandfathered regions? The 2016 buy-down offer was to encourage people who knew they were going to keep land for at least 6 months to obtain lower tier. The structure meant that the up-front cost (US $600) could be recouped in 6 months, allowing the land holder to continue to enjoy a much reduced monthly tier. The transfer fee of US $600 for grandfathered / bought-down regions (compared to the US $100 for “retail” prices regions) is intended to operate the same way: to encourage those who wish to obtain grandfathered land and will hold on to it for a period of 6 months or more to do so, and so continue to enjoy the lower monthly tier. The US $100 transfer fee can still be applied to grandfathered regions, but they will revert to the full monthly tier rate, so the US $600 isn’t necessarily a barrier to selling the land. Currently no plans to make further changes to tier rates – Lab still absorbing the data from the June private region pricing restructure. However, there is still a commitment from the Lab to do more where land is concerned, once with economic situation resulting from the June 2018 change can be fully understood. Personally has a belief that those who commit to holding land for a period of time should be able to benefit from doing so. This may again involve a higher up-front cost that is recouped over a period of time. Does mean that tier pricing differences (e.g. grandfathered to retail) could vary over time – just as the June reduction narrowed the gap between grandfathered and retail monthly tier. But even with the June retail price reduction, those who used the buy-down offer are still enjoying a lower tier than those who buy at retail. Will there be further land pricing reductions / increases in land capacity (prim allowance)? Both are things the Lab wants to do. Land price reductions depend on the Lab being able to generate revenue and remain healthy as a business via other means – increased transaction fees, increased check-out fees, increased and broader Premium subscription options, etc., all of which are constantly being looked at. Increasing the land capacity is a matter of performance and hardware improvements. If these continue to be made, then further increases to land capacity might be possible. Selected questions from the Town Hall meeting forum thread (now closed) will be put to Ebbe during the session, and there may be an opportunity to ask questions from the audience, if time permits. All things being equal, I hope to have a summary of the session up after the event, which will be similar in nature to my summary of the April 2018 Town Hall – see here for more on that. Linden Lab has announced the next in their series of Town Hall meetings, this one again featuring Lab CEO Ebbe Altberg. The event will take place. Thursday, September 13th 2018 from 09:30 SLT onwards. Once again, users are invited to offer questions for consideration via a forum thread. With SL15B behind us (and SL16B to look forward to!) we thought it was time to have another Town Hall, and give Residents a chance to ask about Second Life and hear the latest news on what is being worked on and planned in Second Life. We’ll also share specific updates on our product development roadmap, as discussed earlier this year. Linden Lab CEO Ebbe Altberg will be appearing at a “Town Hall” chat session on Thursday, September 13th 2018 at 9:30 a.m. (SLT/Pacific). This is your chance to interact directly with Ebbe as he discusses 2018 and beyond. Got a question you want to ask? Post it in the Community Forum thread “September 2018 – A Conversation with Linden Lab CEO Ebbe Altberg” in advance of the Town Hall. Questions will be selected from all submissions made prior to Sept. 10, so make sure to weigh in now! Don’t forget to mark your calendars for Sept. 13 to see if your question is selected. On that day, you can join us live for the Town Hall meeting. Location will be publicized closer to the event – stay tuned! I have a full transcript (with audio and video) of the April 20th event for those wishing to catch up with what was said then, and I full plan to attend the September 13th event and offer both a transcript / summary of the session, again with audio recordings of the answers given to questions. Note: the video of the show is now embedded at the foot of this page. The questions were a mix of those submitted to Designing Worlds ahead of the session, and those formulated by the Designing Worlds team. What follows here is a transcript of Ebbe’s responses to the questions, with a précis of each question and an audio extract from my own recording of the session. A summary of the topics / comments is provided below, with links to the relevant section of the transcript. Note that the audio here may differ slightly to the audio in the video, as my audio extracts have been cleaned-up a little to remove repetition, pauses and asides, to give a smoother flow of the core comments and thoughts. For those who prefer, the following is a bullet-point list of the core questions asked, gathered into the same topic headings as the transcript notes. Links are given to the relevant part of the full transcript for those who would prefer to read / listen to the complete answers / comments. Note: due to the nature of WordPress internal text anchors and scrolling, you may have to scroll up a little after jumping to a specific topic, in order to see the question. 15 years a testament to users’ commandment to the platform. Want to make it very clear to the world in general that Second Life is still going and improving. The SL team is very committed to the platform, driving to make it better with new features and improved capabilities. LL more optimistic than previously that they have the opportunity to grow the SL user base. While revenues are important, particularly moved by the value Second Life brings to users. Fascinating that in 2017, users redeemed almost US$70 million from the platform, indicating it offers a genuine income opportunity. 5 million items on the Marketplace (although some could perhaps be removed) indicates the breadth of creativity and opportunity for income generation available to users. But the stories of how SL improves people’s lives, the way it can be used to raise money to help others (e.g. US $48,000 via Fantasy Faire in 2018),and the way it can change people’s lives for the better. LL recognises land in Second Life is too expensive, and that they actually generate very little from the platform’s economic activity. Hope is to pivot Lab’s income generation away from land tier and towards more of the economic activities – buying / selling L$, transactional and redemption fees, subscriptions, etc. Through this shift, hope is to reduce the cost of land tier. Witnessing steps already being taken – the private region buy-down programme, the Mainland price reduction, and more is cautiously planned. Land team still incredibly busy handling orders. Has also resulted in an increase in Premium subscriptions. Still have to investigate the breakdown of figures: how many orders are from Premium users expending their existing land holdings; how many orders are from Premium users taking up land for the first time; and absolute net new Premium subscribers. How do these changes balance with private estate costs? Still being discussed, with no decisions as yet. Idea is to make changes in steps and understand cause and effect – which is not possible if a lot of changes are introduced at once. Potentially more to come in the future. Not an exercise to convert exiting Linden Homes to mesh; rather the introduction of new homes which will take advantage of mesh, etc. Will likely take advantage of the 1024 sq m land form, in line with the Mainland pricing change. New houses will be showcased later in 2018, but no specific dates on the roll-out. Some homes might make full use of a 1024 sq m footprint, some might be smaller to allow broader choice to users. Initially, only Mainland land holders will be able to offer their land for auction, and individuals only, not groups. Money will likely be held in escrow, so those who don’t win will get it back. Lab will take a transaction fee on auctions, again as a part of trying to move revenue generation away from land tier. No dates as to when the new auctions will be introduced, but getting “close”. Are you considering community support for the new theme learning islands, and what are the themes likely to be? Primary intention of themed learning islands is to provide more vertically specific user acquisition opportunities. Attempt to make things consistent as possible, from initial contact through to arriving in-world at a location that is in context with the initial interesting in wanting to join SL. Today, the process is generic, with no guarantee a new user will arrive in-world where they might have expected. Currently in early testing, finding out what works / doesn’t work. Hope is to bring-in and retain more productively (from the user’s perspective) and at a lower cost. Have found that having greeters / helpers present at these islands doesn’t actually increase new user engagement. Might be a fault with testing, but might be only some new users appreciate personal help. Possible the Lab will look again at this. Have some great gateways, but they are not necessarily contributing a lot of new users, but appear to do a great job in supporting existing users. There has been success in the past – a Brazilian gateway supported by a local media company helped grow the SL Brazilian community. Anyone wishing to apply to run a community gateway is free to do so. LL spend a lot of money on user acquisition, but there are many different ways to do it. Needs to be in contextually relevant places on the Internet where relevant audiences might be found. Community gateways could be a unique way to provide user-generated themed user acquisition that the Lab may not have thought of; addressing niche audiences. Thoughts being given to clearing some of the “clutter” – content no longer managed by the creator for various reasons (e.g. no longer active). Specific (and requested) capabilities, such as being able to sell multiple colours for an item through a single listing. Long list of possible improvements, and the aim is to work with the community [e.g. via the Web User Group). Will be a big project, with many changes unlikely to appear until the end of the year; some (such as the clean-up) might become apparent sooner. There is a commitment to make significant improvements to the Marketplace. Already have certain points where revenue is collected (land, transactional fees, L$ fees, redemption fees, Marketplace commissions, etc.). Might be additional products deployed with fees associated with them. Haven’t decided on the best way to engage in the transactional economy or whether Marketplace fees will increase from the current 5%. Most digital economies on the Internet charge around 30% for participation. With Marketplace fees, L$ fees and redemption fees, LL charge around 10%. With trying to lower land costs, the fees through the economy are liable to increase – but no decision on by how much. Some LL’s focus is to try to find the right economic balance so that running a business in Second Life makes sense, and thus grow the economy. Mainland pricing has already happened. 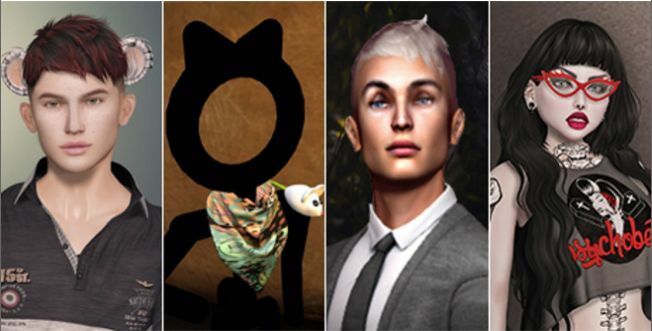 There’s also Animesh, Bakes on Mesh and the Environment Enhancement Project, all of which will offer now opportunities for creators and shoppers. There’s also work being done with Estate Management tools to make land management easier. Project viewers in general either are available [Animesh, Bakes on Mesh] or will be appearing soon [Land Management, EEP]. Going a little slower than planned due to other work taking priority. Important for scripter to switch to using agent IDs for identifying avatars, and not to use string names, as these will no longer remain constant. New accounts will continue to have the “Resident” last name. Premium users will – for a fee to be decided – be able to chose a new last name from a list, and use any first name they wish with it. Last name lists will not include any last names previously used. No-one will be able to use a name previously used by anyone else, so a name will always apply to the same user. First step is to make the migration and not have anything break. This must be completed before the Lab can start thinking about options and products. Likely to be well into 2019 if not longer) before the Lab has transitioned from their own co-located infrastructure to a cloud-based infrastructure. Possibly taking advantage of geographic distribution of regions (e.g. regions heavily used by European users located in Europe). Possibly offering dynamic availability of regions (where appropriate) – spin-up when someone visits, spin-down and store on disk when empty. Constantly have to upgrade hardware, etc., and this involves significant capital expenditure. The cloud allows for these things to be paid for on demand, reducing expenditure / overheads. It’s the right time to make the move, and Ll are now committed to it. Not an investment that would be made if the company didn’t have long-term aspirations for Second Life. Can do a lot without cloud infrastructure – improving code, making optimisations, etc. Will continue to do this on the software side. Essentially making experiences a grid-wide opt-out, rather than a localised opt-in. Land holders will have the ability to determine which (if any) grid-wide experiences run on their land [region or parcel]. Three new object types / inventory assets for water, sky and day settings which can be transferred / traded like other goods. Can be set at region or parcel level, subject to permissions. Close to getting a project viewer available and to start getting feedback for users. Hopefully will make it easier for those without the necessary skills (XML coding) to set custom environments for their land. Animesh uses skeletal animations on a mesh object, animating it in the same way as an avatar. Should be more efficient than current mechanisms for animating objects [e.g. no need for intensive alpha flipping]. Bakes on Mesh allows system wearable to be applied to mesh bodies and heads. Should reduce the overall complexity of avatar mesh bodies and heads. EEP, Animesh and Bakes on Mesh should provide new opportunities for content creation. The aims of building games are to: make sure the Lab can make interesting content; showcase what might be done with emerging capabilities and options to creators; and understand what users find particularly engaging, and how the Lab might capitalise on that engagement in terms of tools and other capabilities. No – but this is fairly normal when building a complex system. Work will continue in adding more capabilities and in making Sansar more performant, offering beet means for people to connect with content and with one another. At present tests are in progress to improve user on-boarding. Personally very excited about VR and its potential. However, VR does have a way to go before it achieves a large market. Feels creativity in Sansar is starting to take off – creators are already doing things LL never imagined. Now starting to look at getting growth. SL users are welcome to try Sansar. LL very happy if users opt to use both, or decided to stay with one or the other. Sansar has significant architectural differences to Second Life. Instancing experiences is one difference, visual fidelity is another. Sansar also has a monetisation model based on economic activity. All these may serve to encourage brands and companies and organisations opt to select Sansar as the platform for publishing their VR experiences. Broad spectrum of platforms for content creation from Minecraft to Unity and Unreal. Second Life and Sansar sit between the two extremes, with Sansar between SL and something like Unity. Sansar aims to offer freedom to create and publish of 3D environments, coupled with scalability and the ability to target VR hardware, rather than just consume content. Still a learning process – discovering what works and what doesn’t; plans have to be revised as users get involved, company has to be nimble to meet evolving requirements and needs. Content creation falls into different categories. Second Life supports a lot of in-world original content, Sansar utilises a more sophisticated external toolset. Both off huge opportunities not only for the actual creators of content, but for people to obtain content and utilise it to create unique spaces. This is particularly what Sansar is aimed at.